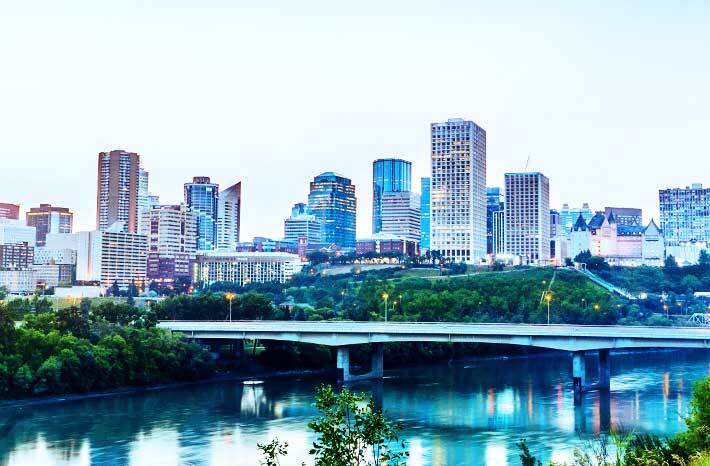 Aside from having North America’s largest shopping mall, Edmonton is home to more than 34,000 businesses? These businesses have best practices in place to protect their bottom lines from costly losses. Business insurance is a crucial part of any business’ best practices, as it can help provide protection from costly risks and expensive damages. Federated Insurance is committed to protecting Edmonton-based businesses by offering comprehensive business coverage. Why do you need insurance for your Edmonton-based business? It’s always important to be proactive to ensure your business doesn’t face any costly claims. That said, it’s also important to be prepared in case an expensive claim does occur. Could your business afford facing a costly lawsuit or repairing extensive property damage on its own? If your business suffered from a fire and needed to be completely re-built, would you be able to handle those costs? That’s where Edmonton business insurance comes in. A comprehensive policy can help protect your business from the unexpected. As a fellow local business, we understand what it takes to run a successful business in Edmonton. Whether you run a restaurant in Strathcona, a contracting business in Northwest Edmonton, or any other type of specialized business, we can provide you with a business insurance solution that’s catered specifically for you. At Federated Insurance, we understand that your business has unique risk management needs. Your insurance should reflect these needs. Traits such as how much revenue you make, what business contents you own, where your business operates, and what line of work your business is in will impact which insurance coverages are the right fit for your business. Here are just a few of the coverages Federated Insurance can offer to protect Edmonton-based businesses like yours. Commercial general liability insurance (or CGL for short), is designed to help protect business owners if they are found legally liable for bodily injuries or property damage to a third party. For example, if you’re a contractor and accidentally damage a client’s kitchen floor while installing new cabinets, your CGL policy could help cover the repair costs. While you’re busy doing your day-to-day tasks, sudden setbacks can cause your business to come to a halt. Fires, storms, vandalism, and other unexpected events can quickly do damage to your property and its contents. Commercial property insurance can help you cover repair and replacement costs you need for your property. It can also help cover your building’s contents, including equipment, inventory, furniture, fixtures, and even outdoor content such as signs and gardens. When a sudden setback disrupts your business operations, your source of income could be greatly reduced or even eliminated. Business interruption insurance can help replace your lost income and help cover regular business expenses like rent or your employees’ salaries. Business interruption insurance is designed to accelerate your business’ return to regular operations. For example, if a sudden fire causes extensive damage to your retail store, business interruption insurance can help cover your business expenses while your store is temporarily closed for repairs. A debilitating injury or sickness can impact both your life and your business operations. Long and short-term disability insurance can help alleviate some of the financial stress that can build up while dealing with medical issues. With disability insurance, you can focus on recovery without worrying about negative impacts to your business finances. Why should you choose Federated Insurance to protect your business in Edmonton?